C. A. Higgins joins guest host Haley to talk about the last book in the Lightless Trilogy, RADIATE. They talk morality, welsh mythology, and how people are like particles. As Penguin Random House continues its ongoing commitment to social responsibility, today we’re featuring an interview with Penguin Press Vice President and Publisher Scott Moyers. 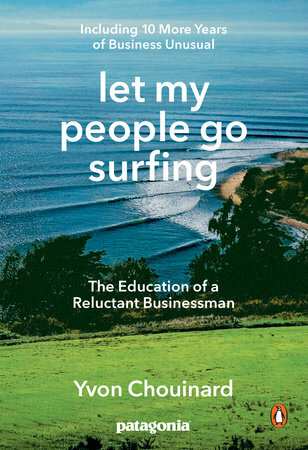 He worked closely with world renowned environmentalist and Patagonia co-founder Yvon Chouinard on his book, Let My People Go Surfing; a 10th anniversary fully updated trade paperback edition was published by Penguin last fall. In this interview, Scott offers insights into Mr. Chouinard’s book, business philosophies, core values, and environmental activism as well as the “contagious success” of Patagonia, whose primary mission is “to use business to inspire and implement solutions to the environmental crisis.” The recent news on the Earth Setting a Temperature Record for the Third Straight Year reminds us all of the urgency of global warming and the importance of how we consider the environment. What brought about your initial contact with Yvon Chouinard and how would you characterize the experience and process of working with him as his book editor and publisher while presenting all aspects of his life and business? Yvon Chouinard is powerfully inspiring because he has stubbornly refused to do anything with his business that does not advance its core mission: “to use business to inspire and implement solutions to the environmental crisis.” You can’t be in partnership with him without learning that, one way or another. I was submitted the book by his agent, Susan Golomb, in 2004 or 2005, and I knew enough about Patagonia’s brand halo, as they say, and was sufficiently taken by the voice on the page, which even in proposal form had that thrilling ring of authenticity and irreverence, that I went for it, and was fortunate enough to prevail in a heated auction. But really diving off the deep end with him was something else entirely. First, everything was slightly irreverent, and counterintuitive – what business leader calls his memoir “Let My People Go Surfing?” Which is from the company policy that when the surf’s up, employees should feel free to hit it. And he wanted to do an oddball trim size, with all sorts of funky sidebars and a lot of art. And he and Patagonia nudged us over to using a different kind of paper, recycled, of course. And on and on. Have you ever felt a surge of adrenaline after narrowly avoiding an accident? Salivated at the sight, or thought, of a sour lemon? If so, then you’ve experienced how dramatically the workings of your mind can affect your body. 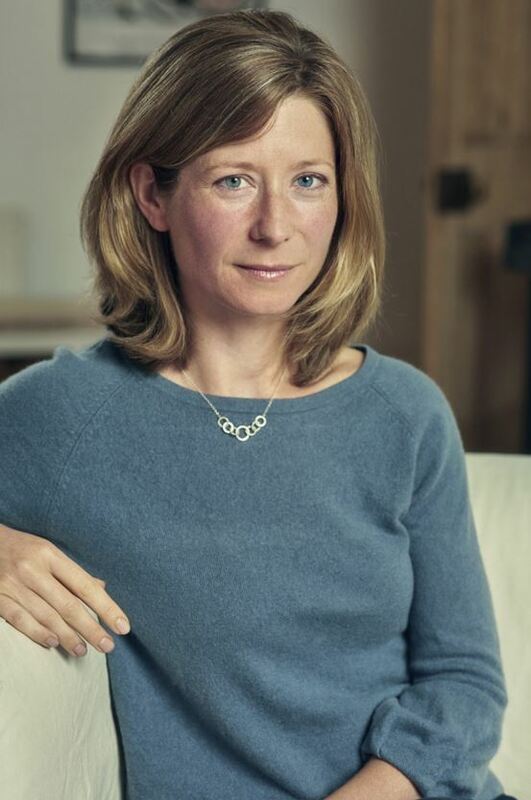 Jo Marchant, author of CURE: A Journey into the Science of Mind Over Body. Discover why placebos, hypnosis, meditation, and prayer can help keep you healthy in Cure: A Journey into the Science of Mind Over Body. Enter the CURE SWEEPSTAKES to win a free copy of the book! The sweepstakes runs until Friday, February 12th, so don’t miss your chance! 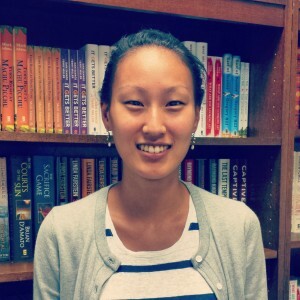 Editors get very passionate about books they work on – the Editor’s Desk series is his or her place to write in-depth about what makes a certain title special. Get the real inside-scoop on how books are shaped by the people who know them best. “Mark wants to write his next book about Atlantis.” Even though it’s been almost four years now, I remember that moment with remarkable clarity. In the summer of 2011, we had just published Mark Adams’ second book, Turn Right at Machu Picchu. It became both a critical success and a New York Times bestseller, and the book to buy if you planned on visiting Machu Picchu, one of the most popular tourist destinations in the world. So when it came time for Mark to submit his next book idea, I was pretty much ready to be excited about anything. Mark could write about java script updates and somehow turn it into a smart, funny, and engaging story. But even I was slightly taken aback when the proposal landed in my inbox. Before reading Meet Me in Atlantis, my cultural reference points for the legendary lost city could be summed up as follows: an island that had sunk beneath the ocean, alien conspiracy theories, and a vague awareness of a tropical resort bearing the same name. It turns out that the actual history and source of the Atlantis story is far more fascinating and surprising. For starters, everything we know about Atlantis comes from two dialogues written by the Greek philosopher Plato, dialogues packed with details about the sunken island. The information is abundant, but just vague enough that the specific location of Atlantis is never quite made clear. Today, most academics dismiss the tale as pure fiction, but Mark quickly learned that there is an entire global sub-culture of enthusiastic amateur explorers actively searching for the lost city based on the clues Plato left behind. For them, Atlantis was a real place, rooted in history, and waiting to be found. What begins as one man’s skeptical inquiry into why people believe they can find the world’s most famous lost civilization becomes a full-blown quest that spans the globe to solve one of history’s greatest mysteries. In the process of investigating the top five possible sites where Atlantis might have once existed, Mark introduces readers to irresistible characters and locales. He unpacks an incredible wealth of history, philosophy, math, and myth into an absorbing narrative that sings along and captures the curiosity of even the staunchest of skeptics (I considered myself to be one of them), making you hope that Atlantis once existed beyond the imagination of Plato, that some of history is actually coded in the popular ancient myth, and that Mark Adams—driven by an insatiable and infectious curiosity—will lead you to rediscover a lost world. Meet Me in Atlantis is Adams’s enthralling account of Mark Adams quest to solve one of history’s greatest mysteries; a travelogue that takes readers to fascinating locations to meet irresistible characters; and a deep, often humorous look at the human longing to rediscover a lost world. Read more about Meet Me in Atlantis here. Amy talks with Kathryn Miles about her new book, Superstorm. Amy talks to Katherine Harmon Courage about her new book, Octopus! Lindsay calls physicist Dave Goldberg (@AskaPhysicist) to discuss his book, The Universe In The Rearview Mirror, shortlisted for the Phi Beta Kappa Society Book Award.